Strawberries Designs digital scrapbooking corner: Father's Day Blog Hop. 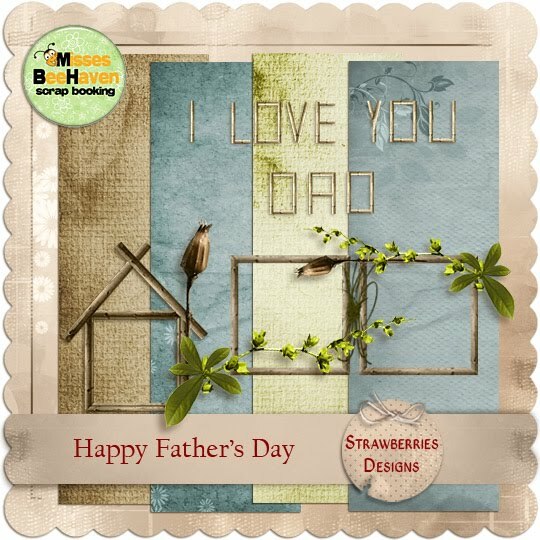 The Happy Father's Day blog train has departed from Misess BeeHaven , and for my station stop I have this mini kit freebie for you. Stop by all the blogs to pick up all the wonderful freebies the team have waiting for you!! :) at all the stops on the Father's Day blog train! And don't forget to leave a word of thanks when you download. It's your words of thanks that encourage everyone to keep the freebies rolling on this train! Pssttt.. If a link is not yet ready at a train stop please visit again tomorrow as we are all in different times over the world. fun stuff! thanks so much! Love the frames! So wonderful! Thanks! Your part of this train is wonderful! Thanks so much.